Dr.One aims to improve health care in remote areas of developing countries by using small drones for the transportation of small medical goods. 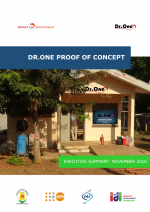 Between February 2015 and May 2016 the Dr.One “Proof of Concept” (PoC) took place in both Ghana and the Netherlands. The main purpose was to establish whether the concept of Dr.One could provide a sustainable solution for the “last mile” transportation of (emergency) medicaments to people living in remote and hard to reach areas. At the start of the Dr.One Proof of Concept (PoC) we wanted to identify how to best use small drones for augmenting the health care supply chain in remote areas of developing countries. Now, approximately one and a half years later, after an intense and successful PoC we have the answers we were looking for, and many more. We can now state with confidence that the Dr.One concept will save time and costs compared to current means of transportation, while having a positive effect on important health indicators. The Dr.One concept is designed to operate as part of community based health care systems, in compliance with rules and regulations, including those for civil airspace. As part of the concept, a blueprint for its ecosystem has been developed, including the underlying business models, allowing for local production and maintenance. Low resource settings require a low cost, robust, long range, easy to maintain small Unmanned Aircraft System (sUAS) that does not require an extensive additional infrastructure: the Dr.One sUAS is developed as such. We have no doubt that in the future small drones will serve patients in need in developing countries, even in the most remote areas. Performing test with delivery is a first step, but many more is required. Dr.One has developed a comprehensive overview of many follow-on activities required for realizing a sustainable solution. The Dr.One concept is now ideally positioned for the next phase. It needs a final round of investments to get ready to go to the market, as described in the investment plan. Global and local partners have been identified and several prospect donors and investors have been approached, and options for additional funding are still being sought. As soon as funding for a next phase has been secured, Dr.One can further evolve to a solution that supports both the health care system and the economy of developing countries. We want to thank all partners for their consistent support, knowledge, advice, insights and hospitality. 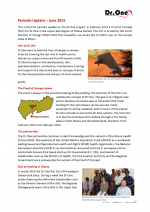 The executive summary (to be found in the download section below) provides an overview of the results of the Dr.One PoC, and we hope you enjoy reading it! 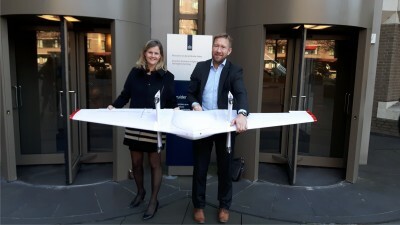 The Dr.One Proof of Concept programme was enabled by private investments and the “Life Science & Health 4 Development” funding of the Dutch Ministry of Foreign Affairs. The activities were performed in a partnership between the Ghana Health Service (GHS), the UN Population Fund (UNFPA), the Netherlands Aerospace Centre (NLR) and IDI Snowmobile B.V. (IDI). 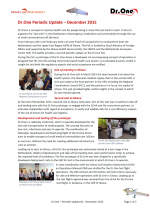 Close cooperation took place with many Ghanaian partners, such as the Ghana Civil Aviation Authority (GCAA), the Upper East Regional Coordinating Council (RCC) and the Navrongo Health Research Center (NHRC).